An interesting take on the food of Lucknow, Pakistan, Old Delhi and Rajasthan. Atmospherics: there are now two branches of this brand, both inexplicably in Gurgaon. The first one, just off MG Road, is the more genteel of the two; the newer one, just a few months old, is the one that I visited. It does not have the charm of the older branch, but the food is just as good: in fact, there’s a high degree of standardization between the two. Though Kashmiri wazwan makes its appearance on the menu, it is hardly the star of the show here. The stars are the Pakistani dishes and the lone Afghani kebab. The Sohna Road branch of Coriander Leaf is visited almost entirely by corporates working in the vicinity. In the absence of any soft furnishings, the decibel level of this large space goes through the roof. Perhaps this is an entirely personal reaction, but the choice of music (Aabida Parveen on a loop) and the output of the music system combined, detracted from the experience rather than enhancing it. Table talk: Make no mistake: Coriander Leaf is a bastion of some excellent Indian cooking. All the glory is on the plate rather than the atmosphere, and that’s the way it should be. 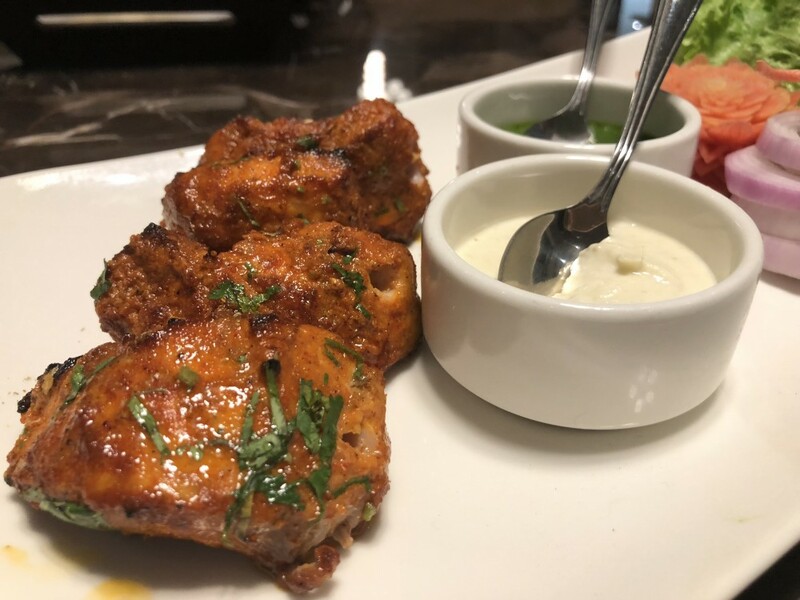 Do not miss murgh kandhari tikka (Rs 450). It is a fabulous preparation: unusual, tasty and succulent. Large picattas of boneless chicken have been marinated in a reddish blend of herbs and spices that had a slightly fruity undertone. Finished on the grill, the smokiness blended superbly with the fruitiness. It was the same case with chapli kebab (Rs 495), the trademark kebab from the North West Frontier Province. Made with coarsely pounded mince for that al dente bite, the edges were roughly formed and the all-too-familiar bite of coriander seeds added a welcome note of relief from the chilli. While these two kebabs were outstanding, galauti kebab (Rs 495) and Pathani heeng kebab (Rs 425) were good. 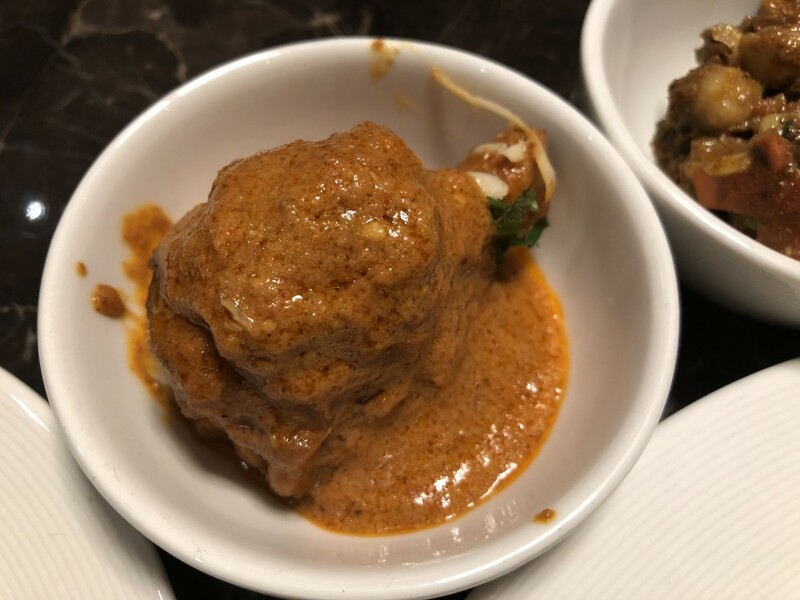 For lovers of brain masala (Rs 495) there’s a treat in store for you: the brain is left whole and not amalgamated into the onion-tomato gravy. This gravy is the only onion-tomato gravy in the entire menu. The phirni set in earthenware containers is a not-too-sweet delight, being freshly prepared and yielding to the touch. Plus and minus: Only the kachche gosht ki biryani (Rs 495) did not live up to its name. Not much for vegetarians.